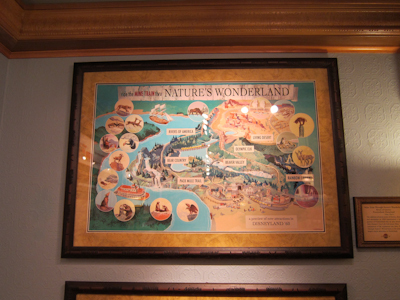 Before I posted about the Mary Blair exhibit in the Disney Gallery, and that was awesome. 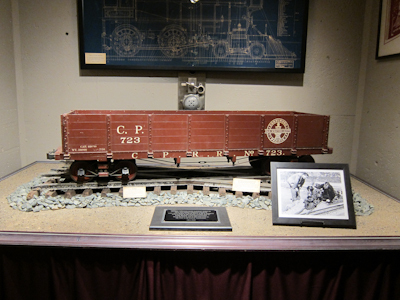 However, right up Kevin and Theo’s alley is their current exhibit–railroads. 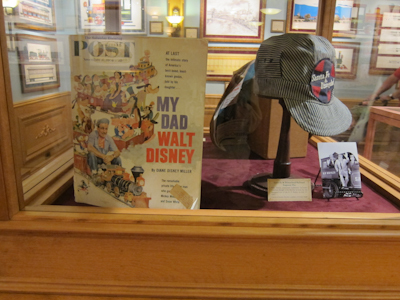 Walt loved trains. Loved them. 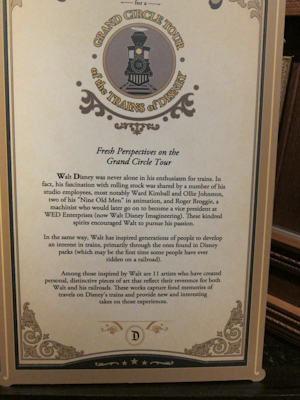 You’ve probably seen the picture of him leaning outside of a Disneyland Railroad steam engine waving at the camera. Well if you haven’t, go look it up. I’m not going to do it for you. 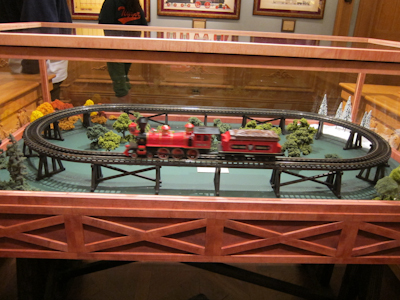 Anyway, he also had his very own garden railroad at home. One day we’re going to have a garden railroad too. Because it’s awesome. 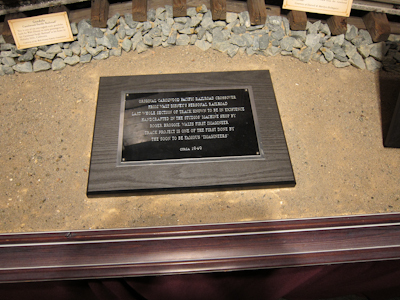 This is the plaque that accompanies the above car. No, I can't read it either. Sorry. 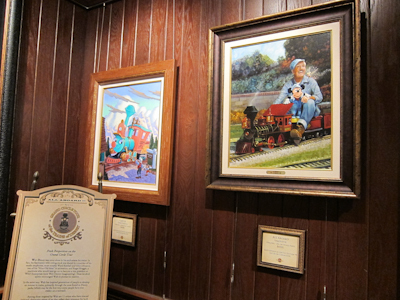 Here’s some art of Walt riding a miniature train with Mickey Mouse. Nope, can't read this one either. 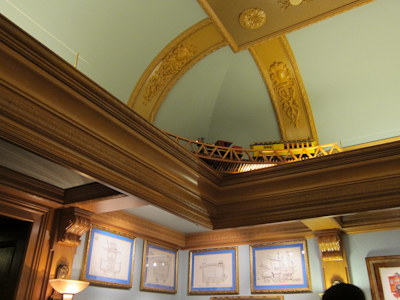 There’s also one of those ceiling trains. Do those have a name? Probably, but I don’t know what it is. Anyway, I totally want one of these too. I’d even bust holes in my walls to make it go around the whole house, however impractical it seems. Quick trivia: Where else in the park can you find one of these? Many people forget that Casey Jr. is also a train. 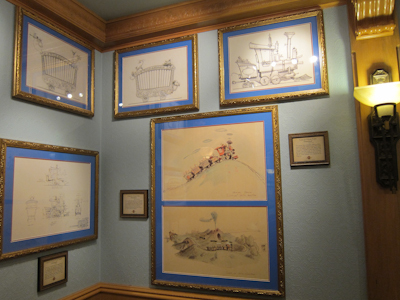 The concept art for that is pretty awesome, and also on display. There’s also another train in the park–do you know what it is? Yes! Thunder Mountain Railroad! Jack loves the train exhibit too. We spent an hour there the model train at the front does move, you just have to ask a CM to turn it on.